Light therapy has been developed as a natural, non-invasive and relaxing procedure to help reduce the appearance of the visible signs of skin aging – it boosts collagen production, minimises fine lines and wrinkles and visibly improves your skin’s appearance. NASA uses this technology to help astronauts with wound healing and maintaining healthy skin in space. Omnilux™ light therapy uses narrow band light emitting diodes (LEDs) to target skin cells and maximise treatment results in a wide range of dermatological conditions. TGA approved and clinically proven, Omnilux™ light therapy complements the skin’s own natural moisture renewal process to plump it up. Also proven to accelerate wound and scar healing, it is ideal for post surgery recovery. Omnilux Revive™ (red light) acts to rejuvenate and repair damaged skin, improve uneven skin tone and reduce the appearance of fines line and wrinkles. 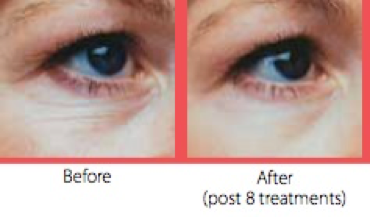 Omnilux Revive™ delivers a precise wavelength of visible red light that penetrates deep into the skin to stimulate fibroblast activity to naturally boost the production of collagen (the protein responsible for plump, healthy skin). Omnilux acts to energise, rejuvinate and repair damaged skin and uneven skin tones. It can help improve fine lines and wrinkles. Omnilux delivers precise wavelengths that penetrate deep into the skin to stimulate the fibroblast cells to naturally boost the production of collagen and elastin. Omnilux also helps to fight acne by stimulating antibacterial and anti-inflammatory activity deep in the skin.Omnilux also aids in the healing of the skin. 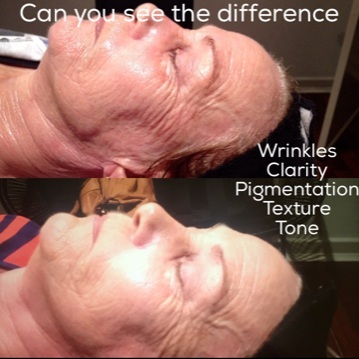 Omnilux works really well in conjunction with all facials, peels and IPL photorejuvenation treatments. For the best results we recommend a course of treatments. The best is a course of nine treatments over a three week period, with 48-96 hours in-between each treatment. There is no recovery time at completion of the course. Also excellent as a maintenance combined with your regular facials (after initial course). For more information on packages, enquire at Body Wisdom with our Contact details.